Back in late April I hiked around the Aphrodite Nature Trail at the Akamas Peninsular, with Sage. It was a wonderful day, but pretty hot and hard going. We arrived back in civilisation exhausted and starving hungry. 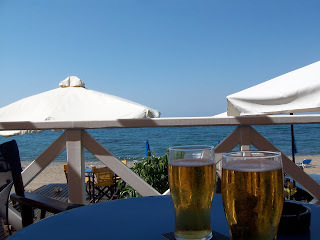 Picking a taverna at random somewhere that looked like it would have good food, but also a relaxed dog-friendly atmosphere, we settled on Ilios Beach Bar on the road from Aphrodite Baths towards Latchi. 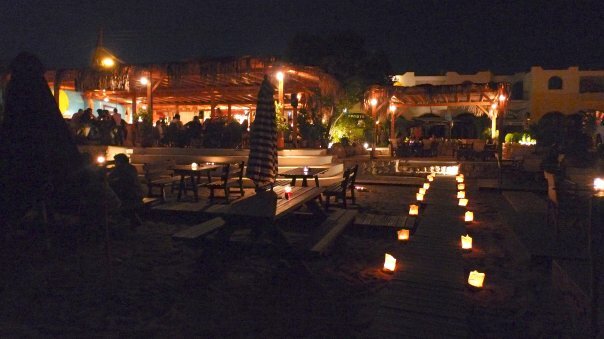 It seems like the Beach Bar is connected with the Elias Inn, they share facilities and a website. The menu was quite extensive with reasonable prices. We ordered a tasty homemade burger, a not so great omelette, and a couple of beers. I think we paid around 25 Euros total. Most importantly, the staff were all super friendly to Sage. One waitress brought her a bowl of water, unasked. The owner stopped to stroke her and talked to us about her own dog. We all felt very welcome.